A valiant effort from ten-man Hearts couldn’t prevent victory for Celtic in Neil Lennon’s first game back in charge. Substitute Odsonne Edouard struck the winning goal two minutes into stoppage-time after the hosts, who had Jamie Brandon sent off on 44 minutes, fought tenaciously hoping for a point. After Brendan Rodgers’ sudden departure for Leicester City, Lennon’s return added extra spice to a fixture which never lacks drama. James Forrest put Celtic ahead in the first half, Oliver Bozanic levelled from the penalty spot after the break and pressure from the visitors yielded a winner in the dying moments. It was tough on Craig Levein’s side, who had shown admirable tenacity and resilience against the odds throughout the second half. They closed space and chased opponents despite being a man down and looked on for a draw until Edouard struck. Brandon was red carded just before half-time for jumping into Celtic’s Jeremy Toljan and catching him with his left arm while challenging for a high ball. Remarkably, 21-year-old Brandon was making his first senior start since December 2017 having spent most of 2018 out injured. Lennon’s Tynecastle history brought widespread security for this encounter. Struck by a coin there as Hibs manager last October, he was also attacked on the touchline at this venue by a fan during his previous spell as Celtic manager in 2011. Police and stewards were consequently keeping a close eye on the visitors’ technical area. Strolling out pre-match, Lennon had the look of a man revelling in the intense and fiery atmosphere. 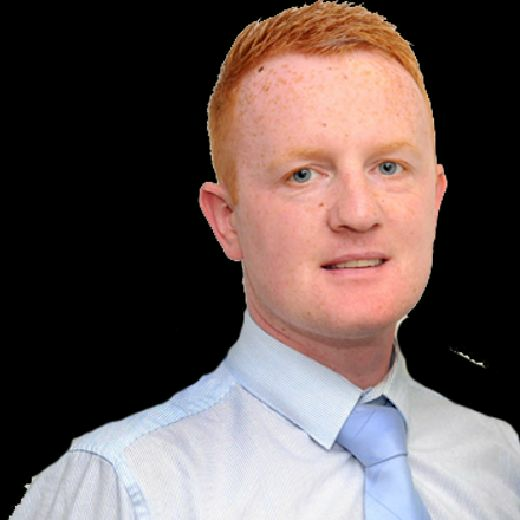 He soaked up the verbals knowing that, a month after leaving Hibs, he was now in his dream job for a second time. The fact his contract only runs until May is a side issue, for now at least. Hearts were seeking to avoid becoming just that – a side issue in the context of this match. The circus surrounding Celtic allowed Craig Levein to prepare his players quietly in the background for this match. He would have welcomed the relative privacy and decided to recall Marcus Godinho and Brandon to solve shortages in full-back areas. The game started at predictably at breakneck speed with tackles the order of the day and every refereeing decision disputed by one side or the other. The first opportunity saw Brown fire a powerful 20-yard effort at Hearts goalkeeper Zdenek Zlamal, which the Czech pushed away. Moments later, from Olly Lee’s corner at the opposite end, Sean Clare’s spectacular first-time shot was touched away by the Celtic keeper Scott Bain. 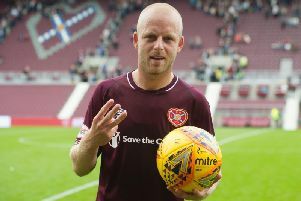 Hearts forced another opportunity on 33 minutes when Steven Naismith charged in to intercept Dedryck Boyata’s pass out of defence. He dispossessed the Belgian centre-back and ran in behind with a clear sight of goal only to shoot wide claiming Boyata impeded him from behind whilst trying to recover. The resultant free-kick was cleared and, from a rapid breakaway, Celtic opened the scoring. Scott Sinclair sprinted down the left onto a long pass from the teenager Ewan Henderson. Sinclair slid the ball inside Brandon to the unmarked Oliver Burke. He was in the clear and drew Zlamal out of his goal before squaring for Forrest to stroke the ball into the unguarded net. No sooner had they finished celebrating than the Glasgow side were hunting a second. Burke stung Zlamal’s fingertips from an acute angle and the Czech produced two instinctive saves to deny Burke and Sinclair in the final seconds of the first half. By then, Hearts were coping with a numerical disadvantage. Brandon received a straight red card for jumping into Toljan leading with his left arm in an aerial challenge near the touchline. He didn’t offer much complaint and trudged down the tunnel in the knowledge his team were now firmly up against it for the second half. There was no chance of them going down without a fight, however. Clare moved to right-back with Godinho switching over to left-back. Naismith was replaced by Bozanic at the break and the Australian stepped up when the hosts won a penalty 11 minutes into the second period. Celtic had given Lennon palpitations a few times trying to pass out of defence while under pressure from maroon shirt. They were caught out when Bain gave Kristoffer Ajer a pass inside the box with Arnaud Djoum closing in. The Cameroonian midfielder stole possession but was brought down by Ajer in the process. Bozanic was the epitome of composure converting the penalty low to Bain’s right. Hearts now had something to cling to against the odds. The dilemma was whether to try to hold on for a point or pursue another goal. Energy became a factor in the decision as time progressed. Celtic pressed forward and Toljan tried an attempt from outside the box which bounced narrowly wide. With 15 minutes left, it was still difficult to tell who had ten men given the effort expended by the home side, striker Uche Ikpeazu in particular. The giant Englishman left the field exhausted on 80 minutes to be replaced by David Vanecek. Celtic also introduced Timothy Weah and set up camp in the opposition half trying to create an opening. Zlamal saved a downward header from Edouard as the game entered four minutes of stoppage-time. Two minutes of that lapsed when Brown curled a ball deep into Hearts territory and Edouard was in space for a first-time finish that left Zlamal helpless and sent the Celtic support delirious. Hearts: Zlamal, Godinho (Dikamona 86), Souttar, Berra, Brandon, Haring, Lee, Djoum, Naismith (Bozanic 46), Clare, Ikpeazu (Vanecek 80). Unused subs: Doyle, Shaughnessy, Cochrane, Keena. Celtic: Bain, Toljan (Lustig 86), Boyata, Ajer, Tierney, Brown, Bitton, Forrest, Henderson (Edouard 62), Sinclair (Weah 80), Burke. Unused subs: Gordon, Hendry, Hayes, Johnston.